Being away from home is often times the only downside of getting to travel. That’s why finding a hotel that gives you the comfort of a home away from home is so important. 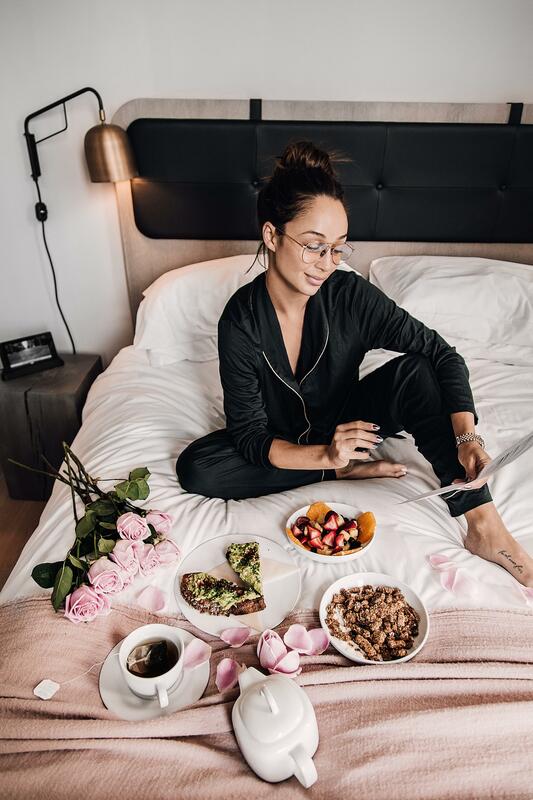 During my whirlwind fashion week adventure that started off in New York City, I knew I needed to begin the month long trip with all the luxuries and amenities that satiated me when I am back in LA. I was happy to find my New York City home in 11 Howard. To have the comfortability of climbing into a cozy bed and enjoying the freshly-cleaned-sheets feeling every night made my hotel-stay feel that much more cozy. Jumping into a warm bathroom and slippers before getting glam-ed in preparation for daily NYFW events, with enough room for my stylists to comfortably set up, made New York life much easier than planned. Even after 11 Howard had already exceeded my expectations, there was fresh avocado toast and a kettle of hot tea enjoyed in the comfort of my bed, starting off the hectic New York day right. It will be a hard NYFW for me, my fiancé, my beloved dogs, and our team to top after 11 Howard making the city feel even more like a second home.